Norway is a stunning country. All those beautiful videos and pictures of Norway? 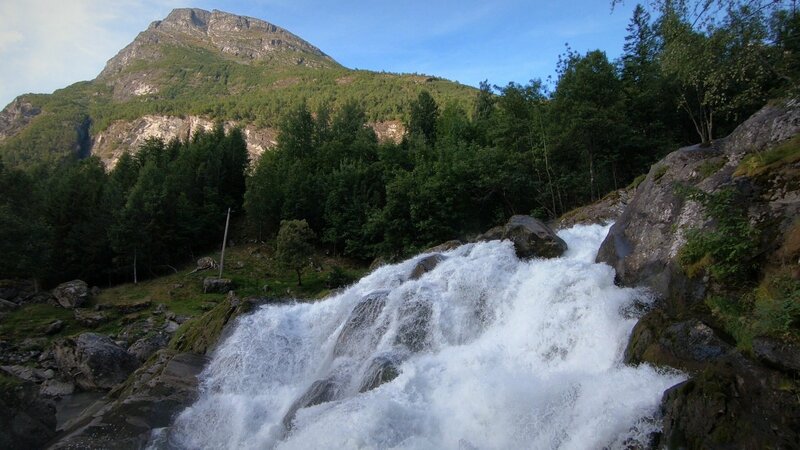 They only begin to scratch the surface of Norway’s raw, sweeping beauty. To really appreciate it, you need to experience it in person. My grandpa emigrated from Norway with his family when he was 8 years old. 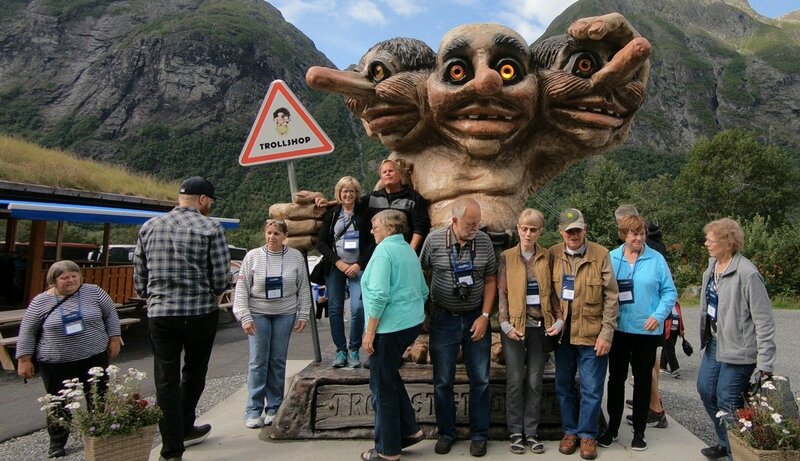 I’ve always been curious about the world he left behind and finally got the chance to visit Norway this August with my mom, aunt, and uncle (and a few other great people from the Midwest!). It was an incredible experience. The lakes really are that blue. The mountains really are that steep. The landscape really is that wild. I highly recommend making a trip of your own to Norway. I hope my tips below help you to have an incredible experience. 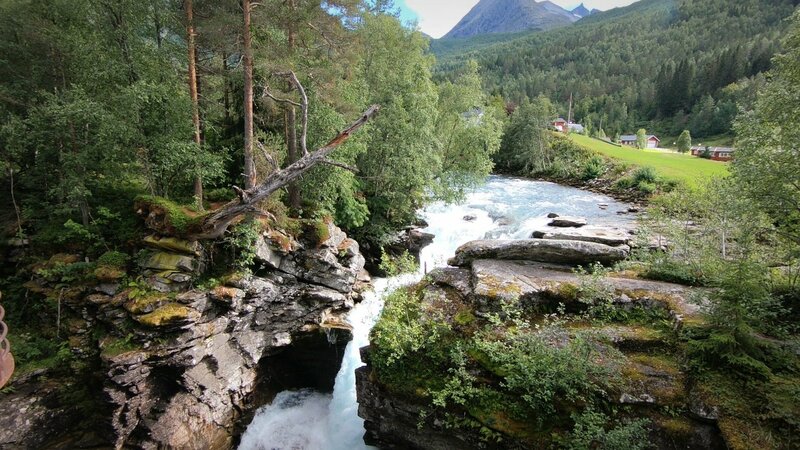 We visited Norway in August, which is one of the warmest months of the year in Norway. On average, highs were in the 60s F and lows were in the 50s F, which is pretty typical for that time of year. I was comfortable in long pants, a sweater, and a medium-weight raincoat for most of the trip. I also brought a packable down coat for some colder moments on boats or higher in the mountains. In addition to the cooler weather, plan for the rain. In Bergen, it rains an average of 239 days a year. That’s right. It rains more than half the year in Bergen! 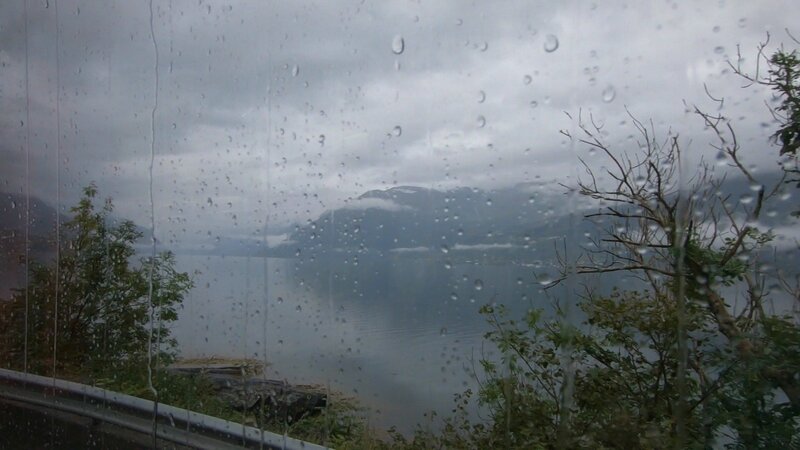 Other locations have less rain (Oslo gets an average of 161 days of rain a year), but you should generally plan on rain when visiting Norway. Bring a raincoat, umbrella, and shoes that can handle lots of puddles. Also consider whether you should swap out your regular bag or purse for a water-resistant one. 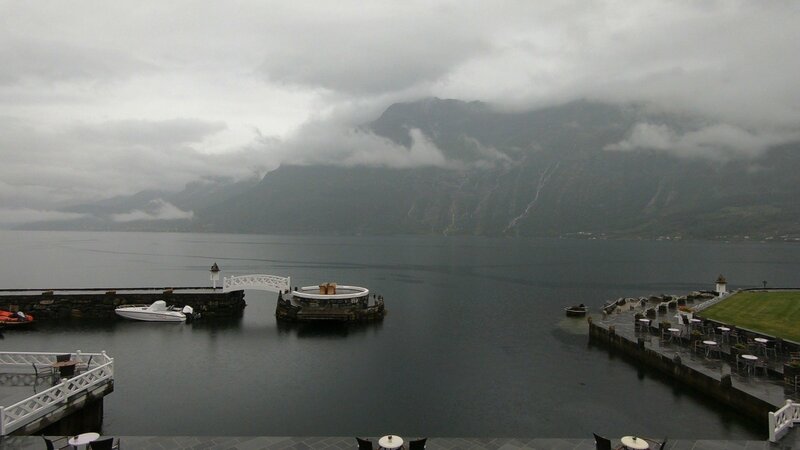 Check out the “Travel Picks” section below for my recommendations on what to pack for Norway. If you know anyone who has visited Norway, you might have heard them mention that Norway is expensive. I had heard that Norway was expensive several times before visiting Norway, but was still unprepared for how expensive it really was. I live in Washington, DC (not exactly a cheap city), so I thought I was prepared for Norway’s prices. Nope. Not prepared. I got a huge sticker shock in Norway. In general, I found Norway was twice as expensive as Washington, DC for food and drink. A meal that cost $15 in DC would cost $30 in Trondheim. A beer that cost $8 in DC would cost $16 in Oslo. My mom, uncle, and aunt live in Iowa, where food and drink usually cost less than DC. That meant the sticker shock was even bigger for them. To save some money while visiting Norway, I recommend staying at a hotel that includes full buffet breakfasts (and maybe even dinner) in their rate. The hotel might be more expensive than another hotel that doesn’t include meals, but it’ll save you overall to eat at the hotel instead of going to a restaurant. 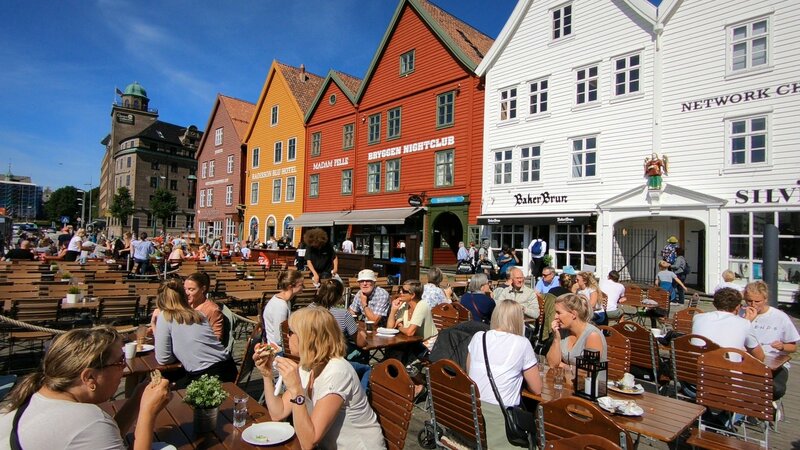 Check out this article for tips on saving money for big purchases (like a trip to Norway!). While some European countries tend to have more formal attire, Norway is not one of them. The attire is very casual. In most situations, you’ll feel comfortable wearing tennis shoes, comfortable slacks or leggings, and a raincoat. When I travel, I lean towards wearing clothing that won’t wrinkle, dries quickly, and is comfortable but still looks stylish. I’ve listed some of my favorite travel clothing items in the “Travel Picks” section below. English-speakers won’t have any problem communicating with others in Norway. At one restaurant, our waitress was a native Portuguese-speaker, was fluent in Norwegian, and thought she wasn’t good at English because she couldn’t translate one particular word for us (it was eggplant). Norwegians are happy to help you learn a few Norwegian words, so feel free to ask. Norwegians are great at making other people feel comfortable and at home in their country. Need directions? Help translating a sign? Recommendations for a good restaurant? No problem – you’ll find plenty of Norwegians happy to go out of their way to help you out. In some countries, you can feel uncomfortable when you don’t speak the language or you’re obviously a tourist. That’s not the case in Norway. You’ll find friendly people who are happy to engage in conversation. If you’re not used to driving in high-pressure situations, then I wouldn’t recommend driving in Norway. 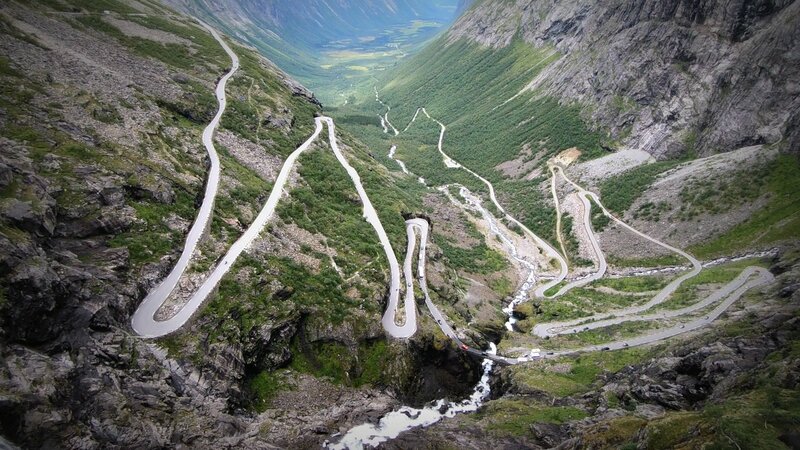 It can also take quite a while to get from one place to another in Norway when driving. 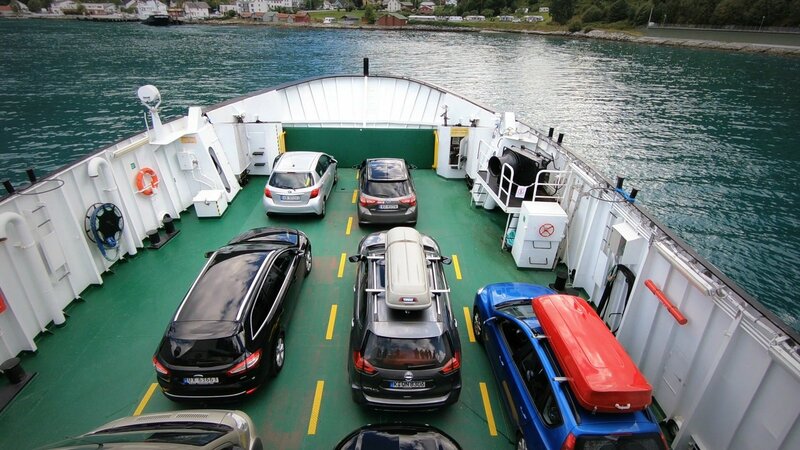 Depending on where you’re driving, you’ll likely have to take long, winding roads around mountains and take lengthy ferries across fjords. I recommend opting for trains, boats, and planes instead. You do not need an international driver’s license if you’re staying less than 3 months. Your own country’s driver’s license is sufficient. If you’re not used to driving a manual, make sure to request an automatic at the rental car counter. 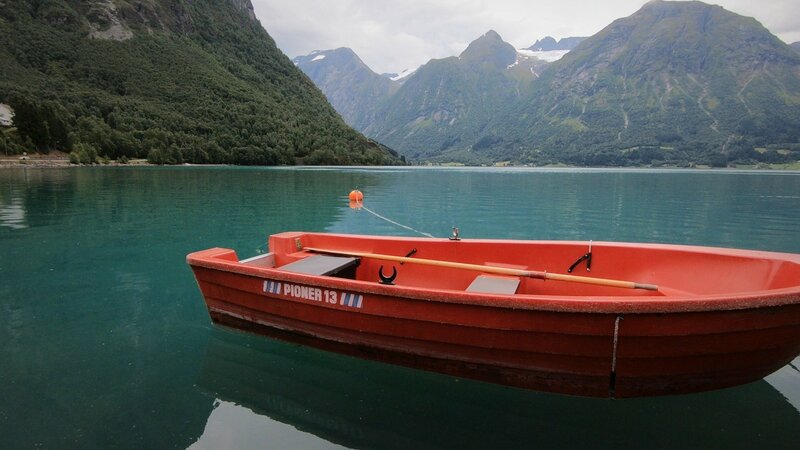 Your auto and personal property insurance likely won’t cover any auto accidents in Norway. However, if you purchase the rental car with a credit card, your credit card likely has insurance that will cover you. Take a look at your credit card terms and conditions before traveling to Norway to see if this is the case. PRO TIP: If you get the extra auto insurance at the rental counter, this will cancel/negate your credit card insurance, so decline the extra auto insurance if your credit card provides insurance on the purchase. I didn’t expect to enjoy the food as much as I did in Norway. But I loved the hearty, filling meals that provided warmth on the chilly, rainy days. We generally stayed at hotels that offered breakfast and dinner buffets and grabbed a buffet for lunch, too. Let me tell you: Norwegian buffets are delicious. You need them in your life. 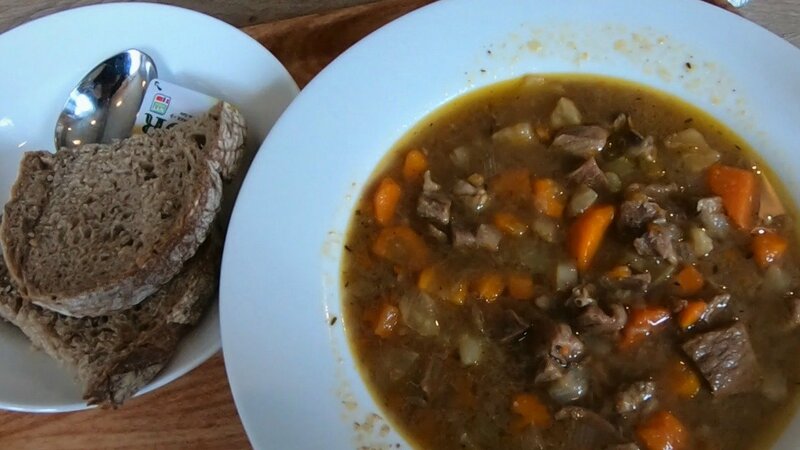 Meat stew – if there is meat stew of any kind on the menu, get it – you won’t be disappointed! And prepare yourselves for Taco Fridays. Yep, you read that right. Norwegians love tacos. I thought people were joking with me when they said they eat tacos every Friday, but it really is a thing. Plan on partaking in Taco Fridays while visiting Norway. Don’t plan on seeing the Northern Lights in the summertime. Even in Oslo, one of the southernmost cities in Norway, the sun sets for only about 6 hours during the longest days of the year. In northern city Tromsø, the sun doesn’t set from mid-May to the end of July. While you might not get to see the Northern Lights in the summertime, the longer days do mean that you can stay outside longer to explore Norway’s beautiful country. I went to Norway expecting to see fjords and the sea. What blew me away was the sheer volume of waterfalls, stunning lakes, and crystal-clear streams. At every turn, there was another waterfall or lake that was even more breathtaking than the last one we saw. 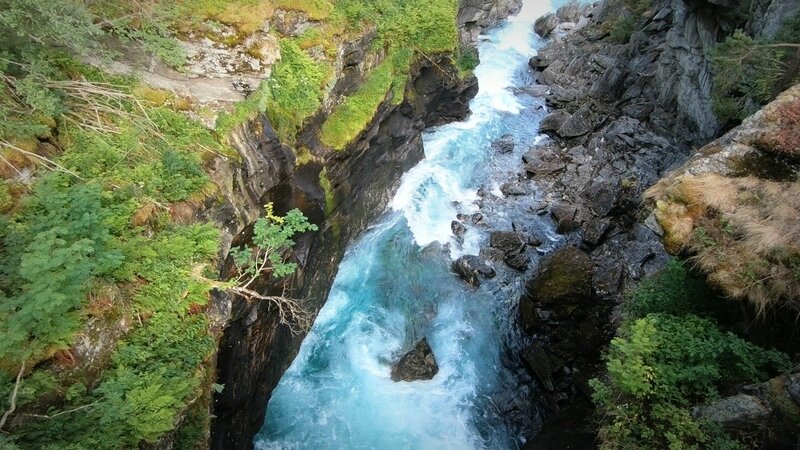 Glacial and snow runoff create waterfalls and rivers that feed into incredibly blue lakes. You won’t believe the color is real until you see it in person. It’s that amazing. Raincoat: Plan for it to rain when you’re visiting Norway. A raincoat also doubles as a layer to keep the chill out on cloudy, rainy days. Umbrella: For days when the rain is too heavy for a raincoat alone, bring along an umbrella. You’ll be glad you did! I lived in my Nike tennis shoes in Norway. They were comfortable and dried quickly. Adidas is also a very popular brand in Norway – you’ll fit right in with these kicks (love the metallic!). For rainier days, these boots will keep you dry and won’t take up too much space in your luggage. Water-resistant bag: Carrying around a soggy bag is no fun. Protect your electronics with this water-resistant bag. Wrinkle-resistant pants: I prefer to travel in pants that are comfortable and travel-well, which means they need to be wrinkle-resistant and continue to hold their shape after several wears. I usually look for pants that include polyester in their label like this one. I also wear plenty of leggings, which are comfortable and easy to throw in a suitcase. Sweaters: For Norway, you’ll want to pack some sweaters to keep away the chill even during summer months. Look for ones that keep their shape and aren’t itchy. I prefer tunic-length sweaters to throw over leggings like this one and cozy cardigans like this one. GoPro: I brought my GoPro to Norway and am so glad I did so. It’s waterproof, so it can survive the rainy days, and its videos did a great job of capturing the full majesty of Norway. You can check out some of my videos here! Have a comment or interested in learning more? I’d love to hear from you! You an email me at eastbymidwestblog@gmail.com.